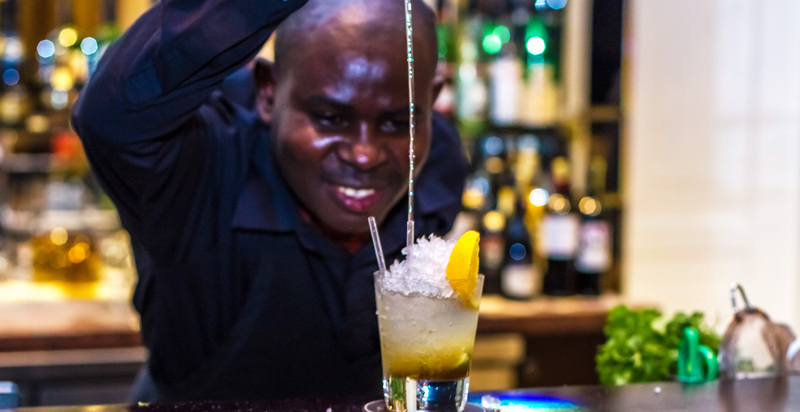 For Out of Africa elegance with an extra helping of luxury, Hemingways will make all your linen-shirt-wearing, rum-swilling dreams come true. 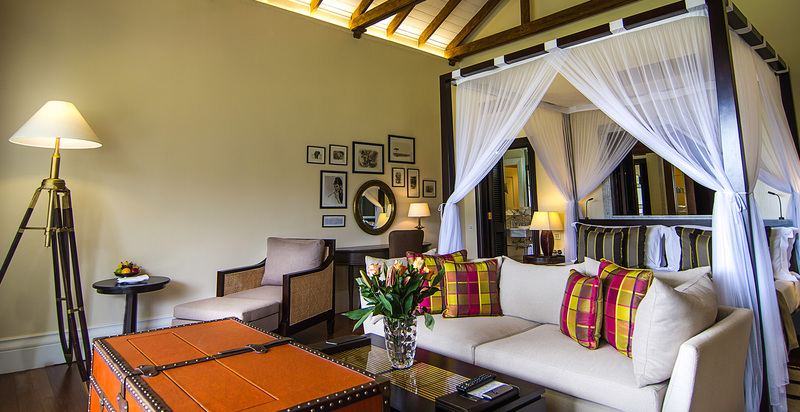 Named after Ernest Hemingway’s account of his romp across the Serengeti, Green Hills of Africa, this hotel is one of the chicest stays in Nairobi and scores top points when it comes to catering to your every whim. With a bespoke butler service, expect to be spoilt rotten as they serve you tailor-made afternoon tea and even pack your suitcase for you upon departure. This palace – sorry, hotel – also forms the perfect bridge between urban retreat and savannah hideaway. 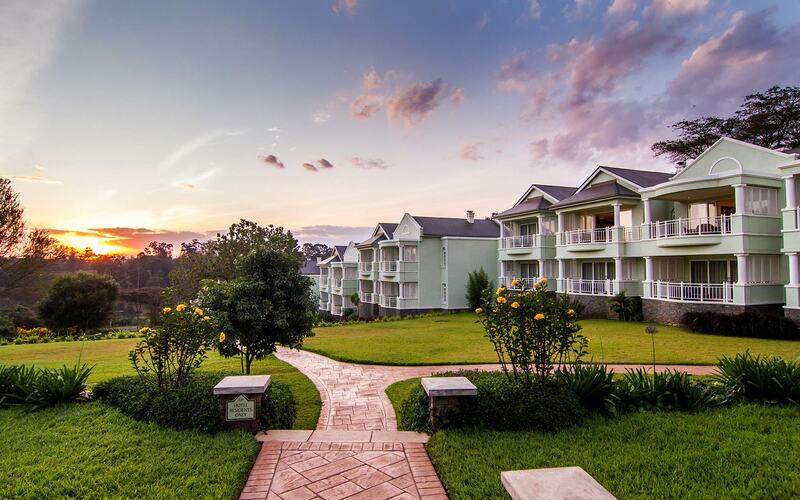 It’s only 15 minutes from the city centre, but is also just 20km away from Nairobi National Park. 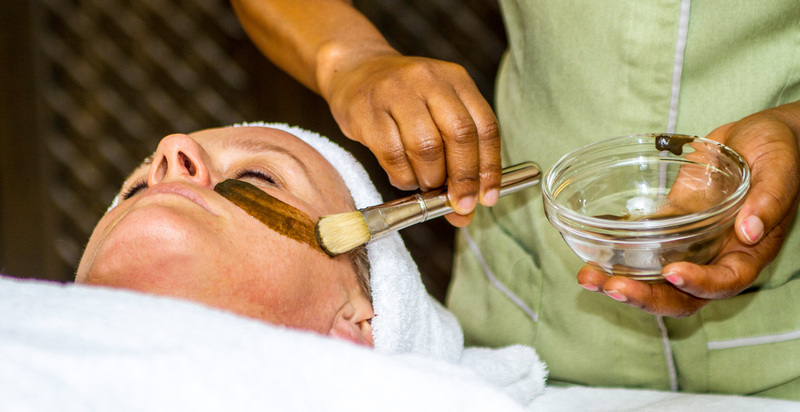 When not out on safari, explore nearby neighbourhoods before chilling out by the pool with a stack of magazines or indulging in a personalised spatreatment – we’re suckers for the coconut, cinnamon and coffee body scrubs – followed by a bouncy blow dry. Then it’s straight to the terrace to take in the fiery African sunset (mango chilli mojito in hand to match, of course). 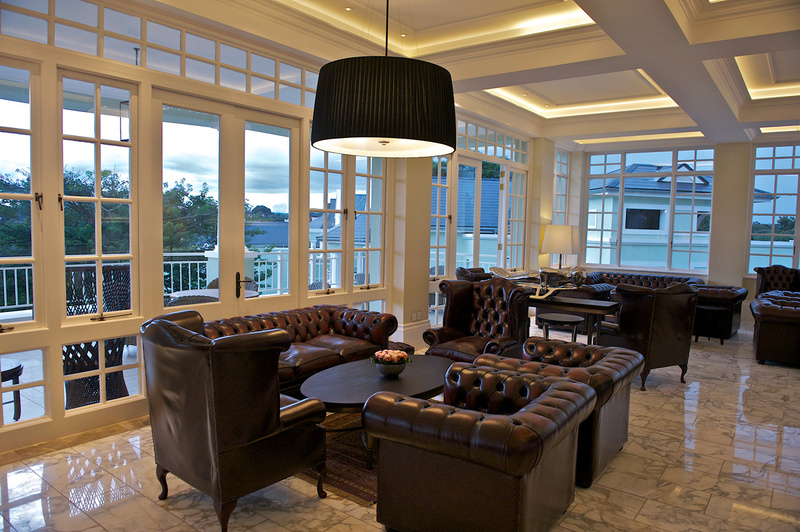 The hotel is made up of 45 suites with sky-high, wood-beamed ceilings. 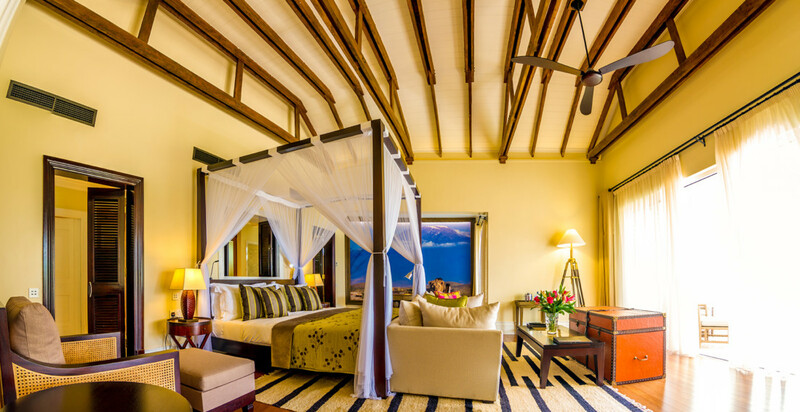 Canopy beds and terraces overlooking the Ngong Hills will make you feel as though you are staying at your own private game lodge, while the massive en-suite bathrooms feel exquisitely civilised. 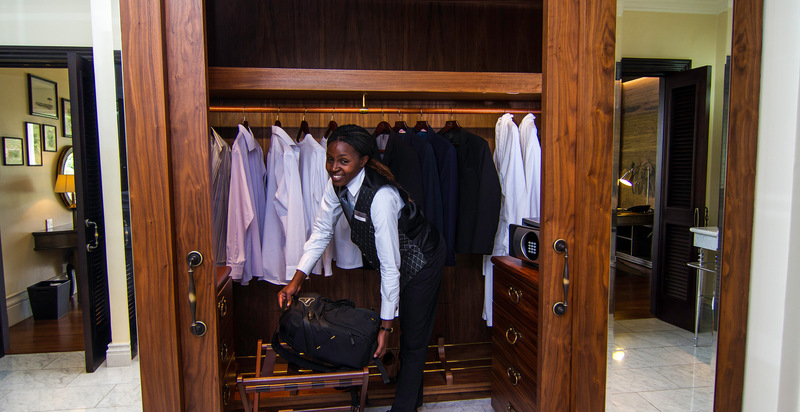 The brightly coloured studded travel trunks and panelled walk-in closets also add colonial sophistication to each room, with the overall result of making you feel like you’re on a 1920s Goyard-sponsored safari. 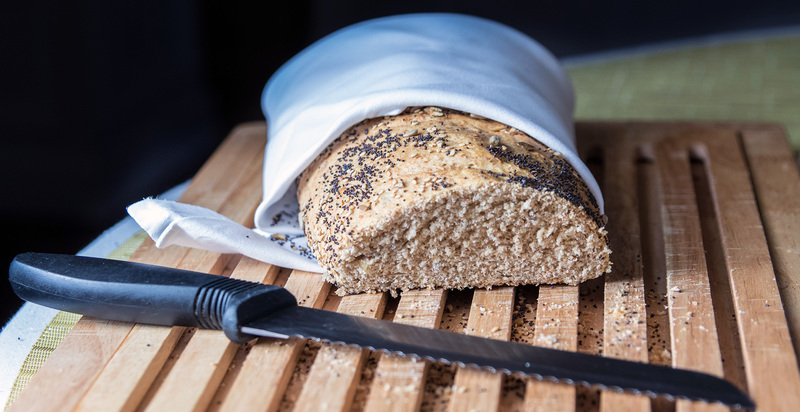 Served at the hotel’s Brasserie restaurant, free-range goodies locally sourced from Kenyan farms are on offer both à la carte and buffet-style. Seasonal fruit and eggs Florentine are served alongside freshly squeezed juices and homemade pastries, while the house promises that “nothing is too much trouble to prepare” if you can’t find what you’re looking for on the menu. Go wild. Also served at the Brasserie, lunch and dinner can be taken in the striking dining room or out on the terrace overlooking the hills. Burgers, hearty salads and sandwiches are perfect for refuelling after a gruelling morning at the spa, while the extensive dinnertime options range from homemade gnocchi and lamb kofta to Watamu prawn masala and ginger crab. For groups of up to eight, the wine cellar can also be reserved for private dining with a tasting menu. And when we say everything is on offer, we really mean it – there’s even the option of vegan afternoon tea on the terrace. Your wish is their command. Absolutely. 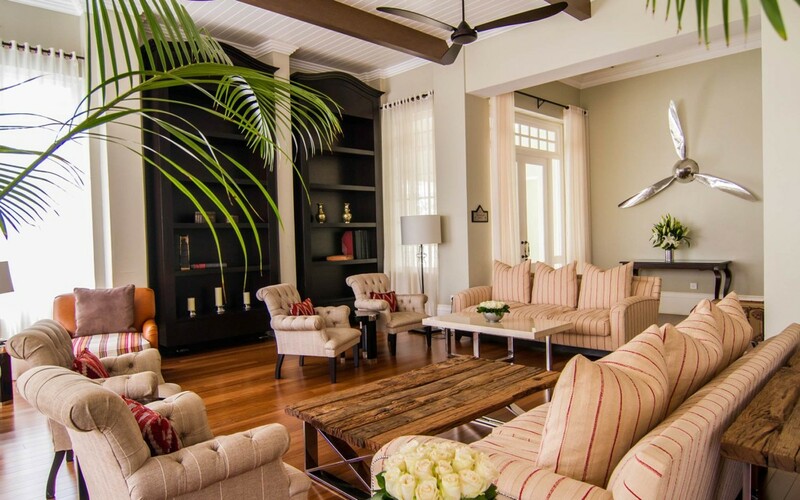 Hemingways Bar is one of the central sparkling jewels in this hotel’s crown. 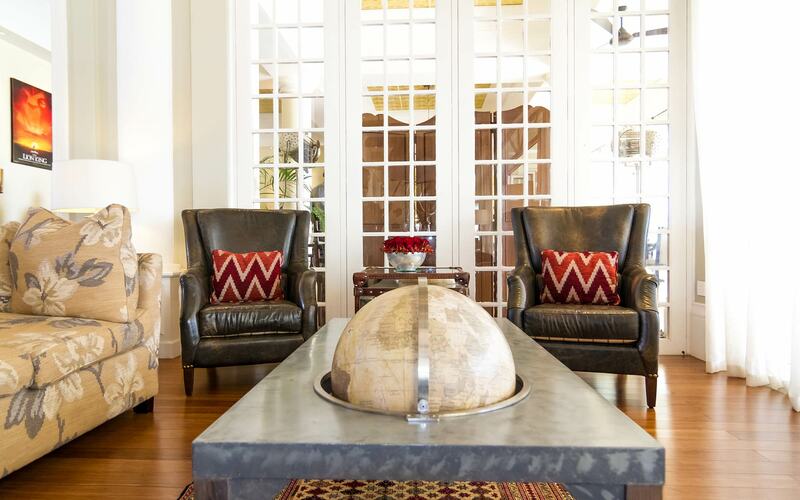 The elegant marble room dotted with leather couches and a fireplace spills out onto a stunning columned balcony overlooking the hills, and both are ideal for sipping on a martini while swapping the day’s safari sightings. This hotel’s anthem truly seems to be “Hakuna Matata”, so throw your worries straight out of the window and allow your butler, spa therapist and personal trainers to take care of everything from the minute you set foot on the estate. Enjoy the swimming pool, spa, fully-equipped gym and bar in total serenity. 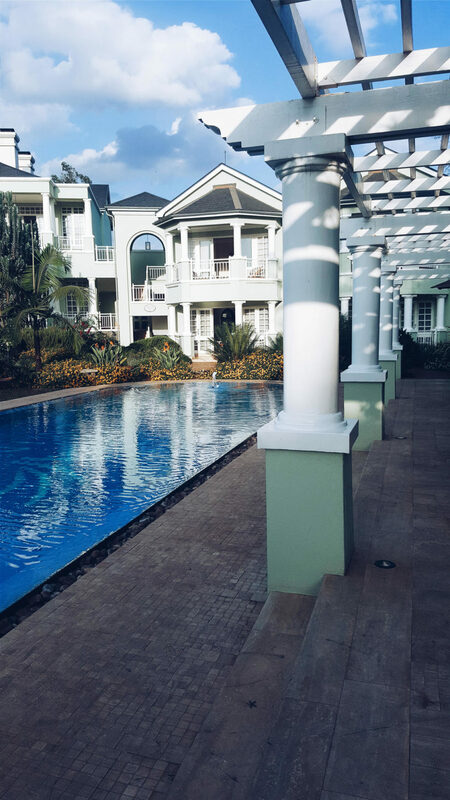 While Karen, the suburb the hotel is located in, is one of the most affluent in town, it’s wise to leave your urban explorations to daylight hours. 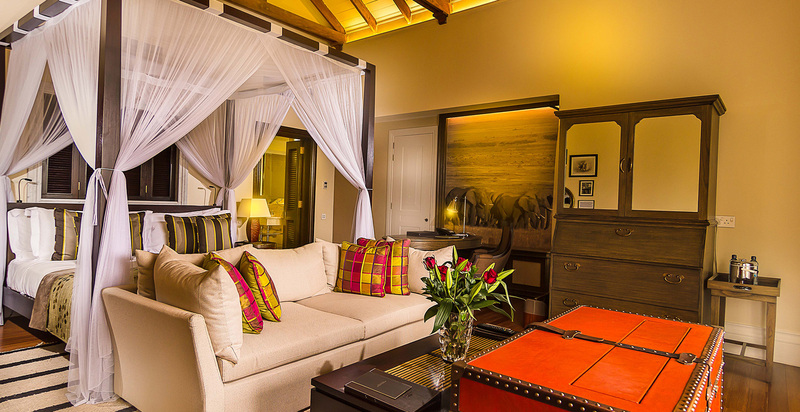 The Karen Blixen Museum, the former home of the Danish author of Out of Africa, as well as multiple destinations for animal enthusiasts such as the David Sheldrick Wildlife Trust and the Giraffe Centre. Looking to enjoy the sunshine? 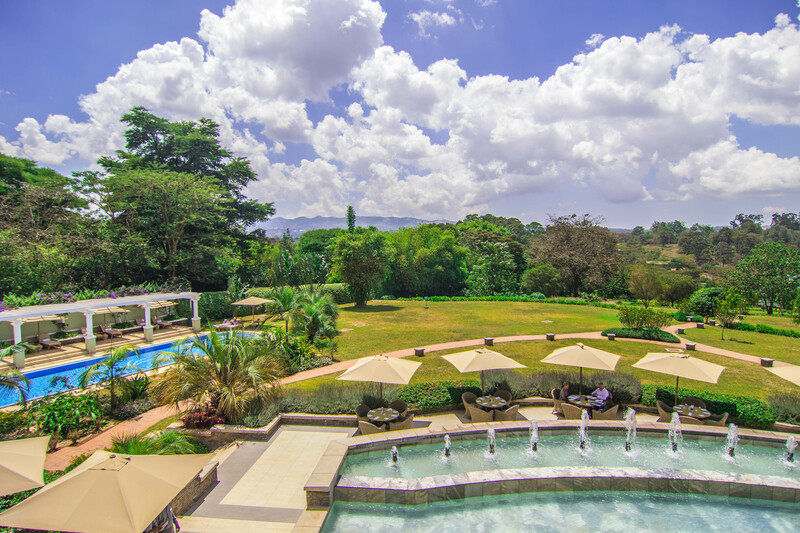 Head to the Karen Country Club, just five minutes away and located on Karen Blixen’s old coffee estate. Make sure to check out Karen’s local shops for traditional Kenyan crafts and gorgeous jewellery as well. Rooms from £580 per night including breakfast and personalised butler service. Hemingways hotel Nairobi is set to launch a new Brasserie menu on 1st October 2017. 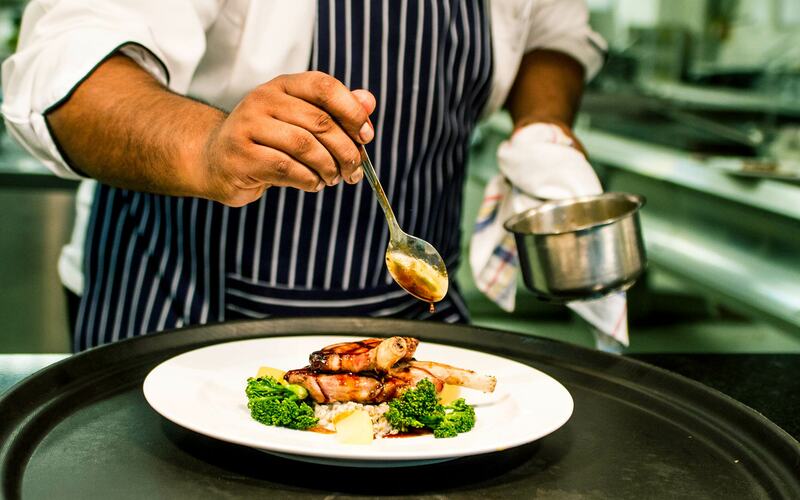 Make reservations and enjoy delicious meals prepared by Hemingways Collection talented chefs. We are now almost one year into our 18 month redevelopment project and the signs are that Hemingways Watamu will be even better than we promised.